Legally.com, a generic domain registered in 1997, was challenged via the UDRP process. The aged domain was offered for sale via Afternic, for $24,999 dollars. That’s hardly a bank breaker for a buyer in the legal services business, but in this case Legally Co of Newark, Delaware, filed a UDRP at the WIPO. The Complainant operates its business from Legally.co. The domain Legally.com is in the GoDaddy-owned portfolio of domains, managed by NameFind LLC. Harrie R. Samaras, sole panelist at the WIPO, found no registration occurred in bad faith, ordering the domain legally.com to remain with the Respondent. Complainant is Legally Co of Newark, Delaware, United States of America (“United States” or “US”), internally represented. Respondent is Domain Administrator, NameFind LLC of Cambridge, Massachusetts, United States, represented by Levine Samuel, LLP, United States. The disputed domain name <legally.com> (the “Domain Name”) is registered with GoDaddy.com, LLC (the “Registrar”). The Complaint was filed with the WIPO Arbitration and Mediation Center (the “Center”) on August 29, 2018. On that same day, the Center transmitted by email to the Registrar a request for registrar verification in connection with the Domain Name. On August 29, 2018, the Registrar transmitted by email to the Center its verification response confirming that Respondent is listed as the registrant and providing the contact details. In accordance with the Rules, paragraphs 2 and 4, the Center formally notified Respondent of the Complaint, and the proceedings commenced on August 31, 2018. In accordance with the Rules, paragraph 5, the due date for Response was September 20, 2018. On September 3, 2018, Respondent sent an email communication to the Center requesting an extension of the Response due date. An automatic extension of the Response due date was granted until September 24, 2018 under paragraph 5(b) of the Rules. The Response was filed with the Center on September 13, 2018. The Center appointed Harrie R. Samaras as the sole panelist in this matter on September 24, 2018. The Panel finds that it was properly constituted. The Panel has submitted the Statement of Acceptance and Declaration of Impartiality and Independence, as required by the Center to ensure compliance with the Rules, paragraph 7. On September 27, 2018, Complainant submitted a Supplemental Filing, which was following by a submission by Respondent on September 28, 2018, requesting the Panel to reject the Complainant’s Supplemental Filing. The Center has received various communications from the Parties on September 27, 2018. Complainant owns U.S. registration No. 4,893,377 (registered January 26, 2016) for the word mark LEGALLY for “legal document preparation services and providing general legal information via a website on global computer networks”, and Canadian Trademark Registration TMA948913 of September 12, 2016, for “legal document preparation services and providing general legal information via a website on global computer networks”. Complainant’s trademarks will hereinafter collectively referred to as the “LEGALLY Mark” or “Mark”. Complainant and its predecessors have used the LEGALLY Mark and have conducted business online at <legally.co> since at least as early as November 5, 2015. The Domain Name incorporates the entirety of the LEGALLY Mark and contains no additional wording apart from the generic Top-Level Domain (“gTLD”). Moreover, Complainant has received numerous emails from clients expressing confusion and mistaken belief as to the association between Complainant’s LEGALLY branded services and Respondent’s Domain Name. Respondent purchased the Domain Name from Yummynames.com sometime between July 13, 2017, and December 8, 2017. That purchase and the registration of the Domain Name in 2017 was more than two years after Complainant or its predecessors first used the LEGALLY Mark in commerce and more than three years after the February 27, 2014, application date to register the LEGALLY Mark in the United States. Respondent is not a licensee of Complainant nor is Respondent authorized to use the LEGALLY Mark for any purpose. Upon information and belief, Respondent is not commonly known as LEGALLY, but is known as Namefind LLC. Respondent does not use and, upon information and belief, does not intend to use the Domain Name in connection with a bona fide offering of goods or services. Since purchasing the Domain Name, it has resolved to a parked page that advertises the Domain Name for sale and contains links to “sponsored listings” for legal services that are directly competitive with Complainant’s business – legal document preparation services and providing general legal information via a website on global computer networks. Respondent’s use of the Domain Name for resale and for generating ad revenue not in connection with any bona fide goods or services is use for commercial gain and not legitimate noncommercial or fair use. Respondent not only hosts links for services that are directly competitive with Complainant’s, but the links are not related to the generic or dictionary meaning of “legally”. Rather, “legally” refers broadly to any action “in accordance with the law” and is inherently distinctive in relation to the relevant services, as supported by the registration of the LEGALLY Mark on the Principal Register of the United States Patent and Trademark Office (“USPTO”), and the Canadian Intellectual Property Office. Even assuming that Respondent’s pay-per-click “PPC” links for legal services are genuinely related to the dictionary meaning of “legally”, to meet the requirements of this safe harbor exception, the domain name must be used only and entirely in connection with the generic or dictionary-related meaning of the textual string. Here, Respondent additionally hosts PPC advertisements for goods that are entirely unrelated to the dictionary meaning of “legally”, such as for basketball equipment and air conditioners. Where, as here, Complainant and Respondent are located in the United States, Complainant owned trademark registrations for the LEGALLY Mark before Respondent purchased the Domain Name, and there are indicia of cybersquatting, panels have applied the concept of constructive notice in support of a finding of bad faith registration and use. Respondent knew or should have known of Complainant’s rights in the LEGALLY Mark because the Mark had become famous in the field of legal services, particularly in the area of trademark law, before Respondent purchased the Domain Name, entirely through Complainant’s online presence. Complainant’s registration of the LEGALLY Mark on the Principal Register of the USPTO is evidence that the Mark is inherently distinctive as applied to the services for which it is registered. The LEGALLY Mark was also inherently distinctive enough to be awarded a trademark registration in Canada. Although the dictionary meaning of the LEGALLY Mark may be considered as strongly suggestive of the relevant services, the appeal of the Mark is precisely that it is both inherently distinctive as applied to the services and is suggestive of those services. Consumers can readily identify the source of the services while gaining a sense of what the services are. Thus, the suggestiveness of the Mark only makes the Domain Name more desirable to Complainant’s competitors, and thus more likely that Respondent had Complainant or Complainant’s competitors in mind when Respondent registered the Domain Name. Complainant has used the LEGALLY Mark extensively and for an extended period of time. The use has been in connection with Complainant’s online platform for at least two years before Respondent registered the Domain Name, during which time Complainant provided services to thousands of customers through its “Legally.co platform”, up until recently, primarily in the field of trademark law. All such services listed on “www.legally.co” are provided by licensed U.S. attorneys who advertise their services on the Complainant’s website. The delivery of these services occurs through the <legally.co> branded infrastructure, such that consumers receive emails in regard to their cases from an “@legally.co” email addresses, phone calls from <legally.co> phone numbers, and are directed to knowledgebase articles hosted on the Complainant’s website. The arrangement of a marketing and technology company partnering with independent attorney advertisers is common in the trademark industry, for example, with “Legalzoom.com”. While consumers work with independent attorneys who are neither employees or contractors of Complainant, they nevertheless identify Complainant as the source of the legal services they receive. Since launching in 2015, all of the trademark services that customers receive through Complainant’s platform are provided by or overseen by BreanLaw attorneys. Since advertising on Complainant’s website, approximately 98% of BreanLaw’s trademark work has been sourced from the “www.legally.co” website. According to publicly available statistics, Breanlaw has worked on roughly 700 new matters a year since 2015, placing it in the top 25 of all U.S. trademark law firms by volume between 2015 and 2017. Accordingly, the LEGALLY Mark is famous across the U.S and around the world in the field of legal services. Moreover, because it provides its services entirely online, Complainant is known solely through its online presence. Respondent was willfully blind to Complainant’s rights in the LEGALLY Mark. Panels have found that a sophisticated domainer who regularly registers domain names for use as PPC landing pages cannot be willfully blind to the trademark rights of another party. Moreover, although there may be no obligation that a domain name registrant conduct trademark or search engine searches, failure by a sophisticated domainer to conduct a trademark search may give rise to an inference of knowledge of third-party rights. Here, upon information and belief, Respondent failed to perform even a rudimentary trademark search before purchasing the Domain Name. Further, Respondent is a sophisticated company in the business of purchasing and registering domain names and offering domain names for sale. As they describe themselves on their website, Namefind, LLC has “made a name for [them]selves around the world as a bulk domain owner specializing in premium domain names”. Moreover, given that Respondent purchased the Domain Name more than two years after Complainant registered the LEGALLY Mark, a basic trademark search would have revealed to Respondent that Complainant owns the LEGALLY Mark. Thus, Respondent must have either failed to perform a trademark search or performed a search and disregarded the results. Respondent merely parks the website associated with the Domain Name and displays PPC advertising links on the website for services that are directly competitive with Complainant’s, while offering the Domain Name for sale in excess of the costs of registering it. Upon information and belief, Respondent directly profits from the revenue generated by the advertisements and does not use negative keywords or take other measures to prevent confusion with or avoid benefitting from Complainant’s LEGALLY Mark through the Domain Name. Although advertising on Respondent’s site may be managed by a third party, Respondent has an affirmative duty to abstain from registering and using a domain name which is either identical or confusingly similar to Complainant’s trademark. Respondent’s failure to use the Domain Name in connection with any bona fide offering of goods or services while profiting from the site and failing to adopt measures to avoid confusion with the LEGALLY Mark is evidence of bad faith use of the Domain Name and supports an inference of bad faith registration. Respondent offers to sell the Domain Name for USD 24,999, a price in gross excess of the ordinary cost of registering a domain name, and it displays a neon green banner on its site advertising that “the domain www.legally.com is for sale” and encouraging visitors to the site to “click for more details”. Moreover, Respondent’s asking price for the domain is three times the price Respondent asks for other domain names that Respondent offers for sale that contain the term “legal” or its variants. Such a relative high cost is extortionate and suggests the Respondent had Complainant or Complainant’s competitors in mind when Respondent purchased the Domain Name. Although an offer for sale to the general public is not evidence itself of bad faith, where, as here, Respondent does not use the site in connection with any bona fide offering of goods or services and offers to sell the Domain Name for a profit in excess of the costs of registering it, the offer alone supports an inference of bad faith. trademark-abusive content by displaying PPC advertising links to Complainant’s competitors. Respondent’s use of the Domain Name for that purpose without having any legitimate rights in the Domain Name supports an inference that Respondent registered the Domain Name in bad faith, particularly where Respondent knew or should have known of Complainant’s rights in the LEGALLY Mark. Such use by Respondent is in bad faith and supports an inference of bad faith registration. Also, Respondent threatens to sell the Domain Name to a third party by offering it for sale for a price in obvious excess of the cost of registering and maintaining the Domain Name and by prominently displaying the offer for sale in a neon banner on its website. Respondent intentionally seeks to cause confusion with the LEGALLY Mark by displaying PPC advertising links to Complainant’s competitors on its site and, upon information and belief, by failing to use negative keywords or take other measures to avoid confusion. Further, upon information and belief, Respondent profits directly from the advertising links that it displays on its site and thereby capitalizes on the traffic driven to the site by confusion with the LEGALLY Mark. Also, Complainant has received numerous emails from clients expressing confusion with respect to the association between Complainant and Respondent’s Domain Name. By offering the Domain Name for sale at a price many times greater than the cost of registering the Domain Name, Respondent attempts to profit from the increased worth of the Domain Name generated by the goodwill of Complainant’s LEGALLY Mark. Respondent admits that Complainant is the registered owner of a U.S. trademark for LEGALLY and does not dispute that it has standing to maintain this administrative proceeding.  NameFind is in the business of acquiring and reselling domain names. It acquired the Domain Name on December 5, 2017, via the registrar Tucows Inc. Before this proceeding and receipt of the Complaint, Respondent had no knowledge of Complainant or its LEGALLY Mark and there was no reason for it to have believed that the registration of a dictionary word was (or is) unlawful. According to the WhoIs history, the Domain Name was originally registered in 1999. At that time and for several years the Domain Name resolved to a website for an individual attorney’s legal services. Later, the Domain Name passed to domain name resellers, and then to Respondent. Currently, the Domain Name resolves to a website containing six sets of links, one set of which redirects Internet users to websites that are law-related and other sets with no specific relationship to law. UDRP jurisprudence does not condemn links or advertising the availability of the Domain Name. Nor does it condemn acquisitions of domain names for resale in the secondary market unless registered with knowledge of a complainant’s right to a name and with the intention of taking advantage of the goodwill and reputation developed for that name by complainant in the marketplace. That is not the case here. Resellers of domain names composed of common elements and dictionary words do not lose their rights or legitimate interests where they offer proof of their business operations and populate their websites with general and specific links. Offering a domain name for sale does not per se make the registration unlawful, but rather acquiring domain names for resale is lawful under the Policy where the second level domain is a dictionary word or common phrase or expression acquired for its semantic, not its trademark value. When Respondent acquired the Domain Name a Google search would have revealed that there were two users of the term in commerce, Complainant at <legally.co> and another different business providing back-office legal services at <legally.space>. On Complainant’s website LEGALLY is not accompanied by a trademark registration symbol. There are no indications on the website that would have alerted Respondent that Complainant owned a registered trademark. If a party registers a dictionary word as a mark it has no basis for complaining when others use it for lawful purposes, or acquire it as a domain name for sale in the secondary market. It is not inconceivable that the word “legally” could be used by others as an arbitrary or fanciful sign in different classes of goods or services. There is no per se rule of law that a respondent is guilty of bad faith in registering and using a domain name simply because complainant has priority. While priority is a significant factor, the issue of bad faith is ultimately determined by Respondent’s knowledge of Complainant’s rights; its use of the domain name, the business it conducts, the content of the website, respondent’s intention in acquiring the domain name, and other factors (here, a mark that is weak and used descriptively in a niche business, Complainant’s reputation in the larger marketplace, and the evidence that it is not alone in using the term “legally”). Although Panels have applied constructive notice where both parties are from the U.S., this is not categorical; it is only applied when there are corroborating factors of bad faith. There is no such evidence in this case from which knowledge or awareness or willful blindness can be inferred. It could not have come from viewing Complainant’s website since, as already noted, there is no “®” to alert the visitor to LEGALLY being a registered trademark. The claim that the LEGALLY Mark is inherently distinctive/famous is based on the false premise that a dictionary word-mark is inherently distinctive because the Examining Attorney at the USPTO allowed it to go through as a “2(d) registration”. That the LEGALLY Mark is descriptive is actually underscored by Complainant itself when it states that “‘legally’ refers broadly to any action ‘in accordance with the law’”. “Legally” is simply a dictionary word that is descriptive of legal services. The word, as a word, is not such a distinctive signifier that would trigger consumers to “readily identify the source of the services”. Not only does the statement lack a basis in fact, it is contradicted by the existence of another business in the same market operating through its Internet portal at <legally.space>. If consumers were to recognize or identify anything about “legally” it would be as a pointer to what they would expect if they were to go to the website and this is because “‘legally’ refers broadly to any action ‘in accordance with the law’”. Complainant only has exclusive use of the LEGALLY Mark for the services identified in the description it filed with the USPTO. Other possible commercial actors cannot lawfully be excluded from using “legally” in other classes just because Complainant has a trademark for the word in Class 45. The list of law firms that Complainant alleges uses its service and “the delivery of these services by attorney advertisers” is not the kind of evidence that can establish that Complainant is famous through its niche services; it admits it does not itself service the “general consuming public” but operates as a kind of back office for attorneys. Complainant has not attached declarations from any of these many law firms or attorneys so the evidence of even having an established presence in the niche is not proved. But even assuming the truth of the allegation, it would still not be sufficient to establish whether Respondent registered the Domain Name in bad faith. The best that can be argued is that the mark hovers on the line between descriptive and suggestive. However, it is questionable whether a term used in a niche market can be said to be well-known to the “general consuming public” or so well known that Respondent can be charged with knowledge to support a claim of abusive registration. Complainant argues that Respondent’s website has links that redirect Internet users to alleged competitors. The flaw in this argument is that the law-related links are consistent with the dictionary meaning of “legally”. Complainant itself makes the point as to how the general public would view the word so it is not surprising that Respondent should have links to law related websites since in a literal sense “legally” commonly refers to or is associated with law firms and legal service providers. Therefore, providing such links cannot be probative evidence that Respondent intentionally registered the Domain Name with Complainant’s LEGALLY Mark in mind. Paul Nicks, Respondent’s Vice-President of Aftermarket Sales at NameFind, LLC, states in his accompanying Declaration that Respondent acquired <legally.com> as part of its portfolio of twelve other themed “legally” names that it already owned. The confusion Complainant complains about is self-created. When Complainant first applied for LEGALLY as a service mark it must have known that the corresponding domain name was registered to a domain name reseller. Instead of negotiating to obtain the “.com” extension it created a domain name in the “.co” space; “a confusion waiting to happen!” All of the alleged confusion (annexed to the Complaint) apparently happened, and this spottily, in 2015 and 2016; there appears to be one confusion in September 2017. Two entries make no reference to confusion at all (4 of 9, and 5 of 18). All the confusions relate to the different top level domains, a confusion for which Complainant is alone responsible. With regard to the alleged “excessive” price to purchase the Domain Name, this is a common but flawed grievance when made against marks composed of dictionary words. 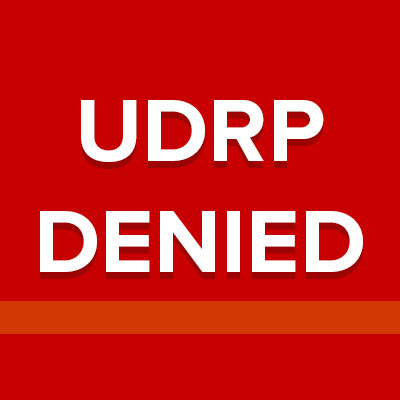 Instead of bargaining with a reseller when it began its business, Complainant is taking the low road alternative of seeking to obtain the Domain Name by commencing an administrative proceeding under the UDRP. The first issue that needs to be discussed is the Panel’s decision not to accept Complainant’s unsolicited supplemental submission. In general, the UDRP makes no provisions for unsolicited filings by either party. While there are occasions when a Panel may request or accept additional filings, the Panel did not do so here. With respect to unsolicited filings, this Panel is of the view expressed in Gordon Sumner, p/k/a Sting v. Michael Urvan, WIPO Case No. D2000-0596, that unsolicited submissions will be considered only in exceptional circumstances, and only when the party filing the unsolicited submission explains the exceptional circumstances and why the material could not have been submitted with the Complaint. The Parties exchanged a couple of rounds of unsolicited email communications with the Center regarding the purpose of Complainant’s supplemental submission and annexes, as well reasons why the Panel should or should not consider them. Respondent also filed an unsolicited additional response in the event that the Panel decided to consider Complainant’s submission. The purpose of the supplemental submission is essentially to clarify the factual record. In response to Respondent’s opposition to the submission, Complainant maintains that its submission is not an attempt to amend the original Complaint or to add arguments that should have been made originally. Complainant has made no showing of exceptional circumstances. Consequently, the Panel did not consider Complainant’s supplemental filing nor Respondent’s additional response. The Panel finds that Complainant has established rights in the LEGALLY Mark based on its U.S. Trademark Registration No. 4,893,377. Complainant’s United States trademark registration is entitled to a presumption of validity, which Respondent has not rebutted. See, Spencer Douglass, MGA v. Bail Yes Bonding, WIPO Case No. D2004-0261. In fact, Respondent admits that Complainant is the registered owner of a U.S. trademark for LEGALLY and does not dispute that it has standing to maintain this proceeding. The Domain Name is identical to Complainant’s LEGALLY Mark in all respects except for the “.com” gTLD, which is not significant in determining whether a domain name is identical or confusingly similar to a trademark. See, Bradford & Bingley Plc v. Registrant info@fashionID.com 987654321, WIPO Case No. D2002-0499 (“When comparing a challenged domain name and a trademark, the addition of the “.com” suffix is irrelevant for the purpose of determining whether the domain name is identical or confusingly similar to a trademark. Rather, one looks to the second-level domain for such a determination.”). In view of the Panel’s decision with regard to bad faith registration, the Panel has not decided this issue. The decision in this case, on this record, comes down to whether Respondent registered the Domain Name in bad faith. Respondent maintains, among other things, that before this proceeding and receiving the complaint, it had no knowledge of Complainant or its LEGALLY Mark and there was no reason for Respondent to have believed that the registration of such a dictionary word was (or is) unlawful. Complainant alleges, among other things, that it has used the LEGALLY Mark extensively and for an extended period of time, providing legal services in the area of trademark law to thousands of customers through its Legally.co platform for at least two years before Respondent registered the Domain Name. It claims that the delivery of the legal services occurs through the <legally.co> branded infrastructure, such that consumers receive emails in regard to their cases from an “@legally.co” email addresses, phone calls from <legally.co> phone numbers, and are directed to knowledgebase articles hosted on the Complainant’s website . Complainant maintains that while consumers work with independent attorneys who are neither its employees nor contractors, they nevertheless identify Complainant as the source of the legal services they receive. Complainant states that since launching in 2015, all of the trademark services that customers receive through the Complainant’s platform are provided by or overseen by BreanLaw attorneys. Since advertising on the Complainant’s website, approximately 98% of BreanLaw’s trademark work has been sourced from the “www.legally.co” website. According to publicly available statistics, Breanlaw has worked on roughly 700 new matters a year since 2015, placing it in the top 25 of all U.S. trademark law firms by volume between 2015 and 2017. Complainant provides some support for the use of its LEGALLY Mark and the scope of the likely audience for the Mark. Complainant has not, however, provided sufficient evidence in this proceeding to demonstrate the renown of the Mark more broadly, including that it is sufficiently famous, such that Respondent would likely have known of the Mark and registered it for its trademark value, as opposed to its desirability as a dictionary word. See, Ferrer Internacional, S.A. v. Domain Admin, Level2 LLC, WIPO Case No. D2018-0670. Furthermore, while the Domain Name resolves to a website displaying generic sponsored links to Complainant’s field of services, those legal services correspond with the dictionary meaning of the term “legally”. This militates in favor of a finding that Respondent did not register the Domain Name to target Complainant and/or its Mark, but registered it, more likely, bearing in mind its potential value as a dictionary term. Complainant argues that Respondent had constructive notice of its registered Mark when registering the Domain Name. Under WIPO Overview 3.0 section 3.2.2: “In limited circumstances – notably where the parties are both located in the United States and the complainant has obtained a federal trademark registration pre-dating the relevant domain name registration – panels have been prepared to apply the concept of constructive notice. Application of this concept may depend in part on the complainant’s reputation and the strength or distinctiveness of its mark, or facts that corroborate an awareness of the complainant’s mark”. While Complainant notes that the dictionary meaning of the LEGALLY Mark may be considered as strongly suggestive of the relevant services, it likewise claims that the appeal of the Mark is that it is both inherently distinctive as applied to the services and is suggestive of those services. The Panel, however, is not persuaded that consumers can readily identify the source of the services while gaining a sense of what the exact services are. Complainant has not provided sufficient evidence of its reputation, the strength or distinctiveness of the LEGALLY Mark, or facts that corroborate an awareness of Complainant’s LEGALLY Mark. When the mark is an everyday dictionary word or phrase panels more often decline to find registration in bad faith based solely upon a claim of constructive notice, even when the parties are both from the United States. See, e.g., Dr. Mitchell Mandel and Ms. Jill Slater v. CSC Laboratories, Inc., WIPO Case No. D2006-0719 (“Complainant’s assertion that, pursuant to the constructive notice provision of U.S. trademark law, Respondent should be charged with notice of Complainant’s rights in the SKIN DOCTOR mark as of its date of registration, i.e., May 23, 1995, is rejected by the Panel”.). On the record before it, the Panel is not prepared to rely on constructive notice to establish that Respondent knew or should have known of the LEGALLY Mark and Complainant’s rights in the Mark. Respondent notes that when it acquired the Domain Name a Google search “would have” revealed that there were two users of the term in commerce, Complainant at <legally.co>, and another different business providing back-office legal services at <legally.space>. Also, Respondent maintains that on Complainant’s website the term LEGALLY is not accompanied by a trademark registration symbol and there are no indications on the website that “would have” alerted Respondent that Complainant owned a registered trademark. Finding one other use of the LEGALLY Mark is not however, sufficient evidence that Complainant lacks rights in its Mark. Infringers may exist even with the strongest marks. And notwithstanding Complainant’s failure on its website to indicate that LEGALLY is a registered trademark, that also does not evidence Complainant’s lacks of rights in its Mark. These arguments regarding what Respondent “would have” learned after it acquired the Domain Name suggest that Respondent either failed to perform the simplest of searches or it performed some searching and disregarded the results. For a sophisticated Respondent in the domain name business, the most obvious search would have been at the USPTO insofar as it is not unheard of that words that are dictionary terms may be registered marks. See, Online Buddies Inc. v. Domain Capital, Case No. D2007-0541; Iowa Family Policy Center v. Basic Rights Oregon, WIPO Case No. D2011-1846; and Shabby Chic Brands, LLC v. Belle Escape, Donna Jensen, WIPO Case No. D2012-0828. Here, such a search would have confirmed Complainant’s rights in the LEGALLY Mark, and Respondent has not done itself any favors with its argument in this regard. This being said, despite the recognized affirmative obligations on sophisticated domain aggregators, this case comes down to the fact that there are no obvious indicia of Respondent targeting of Complainant (and its admittedly highly descriptive mark), which on balance prevents the Panel from concluding that Respondent registered the Domain Name in bad faith, for purposes of the Policy. The Panel’s finding on the issue of bad faith registration does not mean that Complainant lacks valid trademark rights or that Complainant’s Mark is so commonplace as to be unenforceable as a matter of trademark law. With questionable rights or legitimate interests in the Domain Name, Respondent’s continued use of the Domain Name may very well constitute trademark infringement or unfair competition. Complainant may pursue Respondent in court for infringement, where the doctrine of constructive notice should apply and Complainant may have a better chance to discover Respondent’s motives. The Panel finds only that for purposes of this Policy proceeding, Complainant has failed to establish with competent evidence that Respondent registered the Domain Name in bad faith.  I was going to use Legally.co for some of my legal needs but now that I see that they have attempted to steal intellectual property from NameFind, LLC through the UDRP process I am going to use legally.space instead. Anyway, legally.space ranks higher in Google’s SERPs for me than does legally.co so legally.space is even better at SEO than is legally.co. I’m not confident that I could trust the capabilities of such a company.